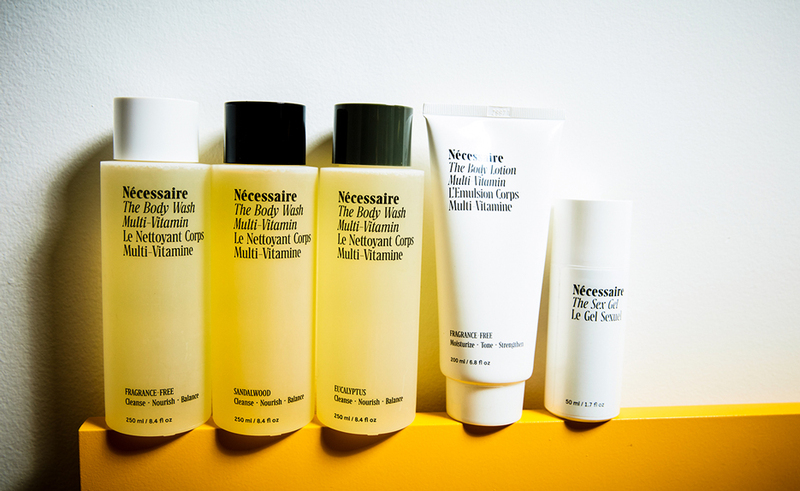 Why the founders of Nécessaire believe personal care is self-care—and self-care is a necessity. V.G. : If not yourself, who would you be? N.A. : Ira Glass or Ina Garten. R.C. : Yvon Chouinard of Patagonia. N.A. : Abbi and Ilana from Broad City. V.G. : The natural talent you wish you had been born with? N.A. : To be able to draw. V.G. : When and where are you happiest? N.A. : In a bathrobe, at home, with my guy. R.C. : In nature with my gang. V.G. : The first thing you notice when meeting someone new? R.C. : The eyes. The connection. The energy. N.A. : I don’t have one. Constantly meeting new people and talking about ideas is how I’ve always found my next career step. I have taken a pretty circuitous career path. R.C. : I love being in beauty. Another area or chapter that would be of great interest would be a role in environmental preservation and sustainability. N.A. : Burt’s Bees lip balm. It’s completely nonshiny yet moisturizing, plus the peppermint oil in the stick makes your breath smell minty. It’s a true two-in-one. R.C. : Our old Land Cruiser. N.A. : Erewhon Market, where the bread can run you $20 a loaf, and the ketchup is twice as much as in Whole Foods. It’s absurd, but the place just makes you feel healthy and the experience is a f##king pleasure. And everything is delicious. R.C. : Hikes in Telluride and sunrises in Los Angeles (both with my husband, daughters, and bullmastiff). Also, Champagne at Hotel Bel Air and matcha lattes at Alfreds.